While most students went on holiday, a group of SHAWCO Health medical student volunteers started the university vacation by running a week-long clinic serving communities in Vredenburg on the West Coast. A SHAWCO speech therapist screening potential patients. The primary healthcare clinics, which are offered at no charge, are made possible through the support of GrandWest Corporate Social Investment (CSI), which for the past eight years has been SHAWCO Health’s primary sponsor, enabling the 71-year-old, student-driven organisation to provide weekly primary healthcare clinics to poor communities across Cape Town. In 2009, SHAWCO Health ran its first week-long Rural Health Project in the Eastern Cape district of Mqanduli. This project was so successful that plans were drawn up to emulate its success in the Western Cape, and, following discussion with the public health directorate at Groote Schuur, identified three target areas: Worcester, Vredenberg and the Cederberg. In 2011, SHAWCO Health students ran a weekend rural clinic in Vredenburg, serving the community of Louwville. The weekend trip was another success and, following requests from the community, it was repeated in 2012. Over the years, the focus of the clinics has moved from curative to being more preventative, with the emphasis being placed on health promotion talks and screening tests. Health promotion talks include: HIV, TB, diarrhoea, hypertension, diabetes, intimate partner violence, sexually transmitted infections and family planning. Screening tests include HIV counselling and testing; pap smears for cervical cancer; blood glucose for diabetes; and blood pressure for hypertension testing. In addition, the team has broadened its reach along the West Coast to include the communities of Saldanha, Diazville, Laingville, Hanna Coetzee, and Louwville. 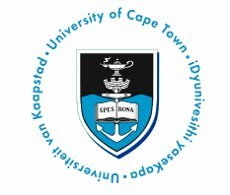 Article issued by UCT. To view their profile on SAstudy, click here.